We’re delivering culture fuel to all of Jacksonville, providing solutions that work for you and customized to fit your needs. Coffee Perks is the largest independent Coffee Service Company in Jacksonville, providing coffee, markets, and more to over 1500 customers locally and hundreds across the country. We have incorporated a fully vetted and approved operator list across the country in conjunction with the most robust ship-to program in the industry to support our relationships with our clients. Christian Hosking has a long and successful proven track record in the office coffee service industry. He started in the bottled water business in 1995 and quickly added office coffee shortly thereafter. He successfully grew his first company to over 1000 customers before selling and moving his family to the Jacksonville area in 2005. With a young family starting, Christian connected with H&R Coffee Co and became the director of sales. Within a year, his focus changed and he purchased the company, now doing business as Coffee Perks. By the end of 2007, he reached an agreement and obtained sole ownership of the company. His industry leading foresight has advanced Coffee Perks to the largest independent in the state of Florida. With the support of a tremendous team at Coffee Perks and his family, the future is bright. His wife Mary and their 2 children Thomas & Madeline along with their german shepherds Gina, Sheila and cat Amie love living and working in Northeast Florida. Our CFO, Christian’s sister in-law, Concetta Lupardois a successful CPA in South Florida and heads up the company’s finances and business office. Mary Hosking is a specialist in HR and AR for the company and oversees administrative support staff and special projects. Jason Hensley has been with the company since 2002, has advanced from successful on the road customer service representative (CSR), and is now our Corporate & National Accounts Manager. He has over 16 years at Coffee Perks and extensive knowledge of sales, customer retention, and all aspects of operation. Jason enjoys playing in multiple local bands and spending time with young son Jude, dog Chase, and future wife Kym. Allicia Smith joined the team in 2011 and also began as a successful on the road CSR and is now our Route Manager, overseeing the strongest team of CSR drivers with over 100 years combined years in the industry: David Bell, Rick Frederick, Dave Maveety, Mary Perry, Karla Pferman, Kym Rose (Hensley), Danielle Sizemore, and Mark Wheeler,. Allicia enjoys all sports, spending time with her family, and traveling. Kathryne Krueger is our Office Manager and oversees our in-house service department and customer service. Kat handles day to day customer requests and supervises the strongest group of service technicians in Jacksonville, with over 50 years combined experience in the beverage equipment industry: Mike Dupree, Bryon Barber, and RJ Weber. Kat enjoys spending time with her dog Duke, fine arts, and traveling. Brian Frattini, Coffee Perks’ Purchasing and Warehouse Manager, is a Navy Veteran and started here as a CSR, and he now keeps the Coffee Perks warehouse completely stocked with the freshest inventory in town. His team, Chris Cox and Charlie Mitchell, pull local and national orders, prepare shipments, and provide driver replenishment for trucks. Brian is an avid fan for both our Jaguars and the Florida Gators, and enjoys spending time with his wife and kids. Signs Exclusive Hurricane Dist Agreement. 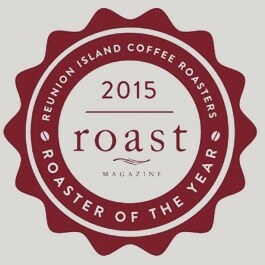 Our long time partnership with Reunion Island Coffee Roasters started over 15 years ago. 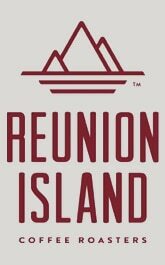 Reunion Island is Coffee Perks sole provider for specialty brand coffees including Authentic Donut Shop,Hurricane Coffee, Wolfgang Puck, Coffee Bean & Tea Leaf and their own Reunion Island Coffees. Reunion Island has the knowledge, experience and capacity to provide the highest level roasting standards, consistency and quality which our customers have come to love and appreciate.Our coffees arrive to our warehouse weekly within 72 hours of being roasted and packaged. Coffee Perks takes pride in providing time, products and monetary support to a number of charities and community events in Jacksonville. We are proud supporters of the JDRF, The Miracle on Ashley Street (Clara White Mission), Palencia Elementary School, Jay Fund, Palencia Charity Tennis Tournament benefiting Camp Boggy Creek. Coffee Perks partners with many of our clients in their own initiatives and community events and often sponsors juvenile sports teams and local fire stations. Coffee Perks signed an exclusive distributorship agreement with Hurricane Coffee & Tea which contributes 3% of roasted coffee costs to Red Cross Disaster Relief. Partnering with companies such as Hurricane Coffee & Tea and Reunion Island Coffee Roasters furthers our initiative for Environmental and Humanitarian Sustainability.